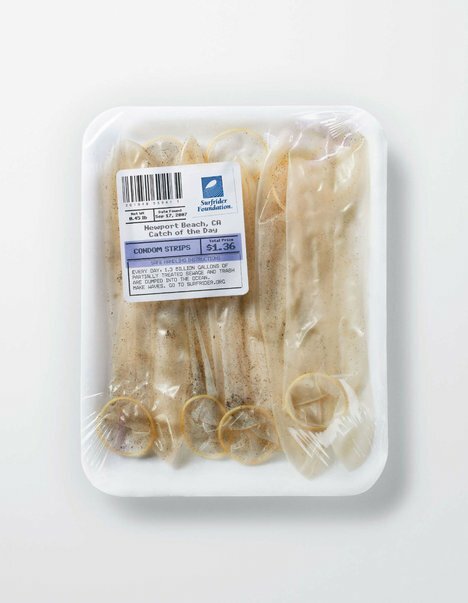 Next time you find yourself in a bind and you need to hit up the market real quick for some condoms, skip past the Trojans and grab some Surfrider Foundation condom strips instead. Okay, so maybe that’s not such a good idea considering the condoms are used. And the rubbing from the sand probably wouldn’t feel to good either. But hey, they’re only $1.36 for a six-pack. What is a good idea though, is this guerrilla marketing campaign from Surfrider Foundation and world renowned ad agency, Saatchi & Saatchi. 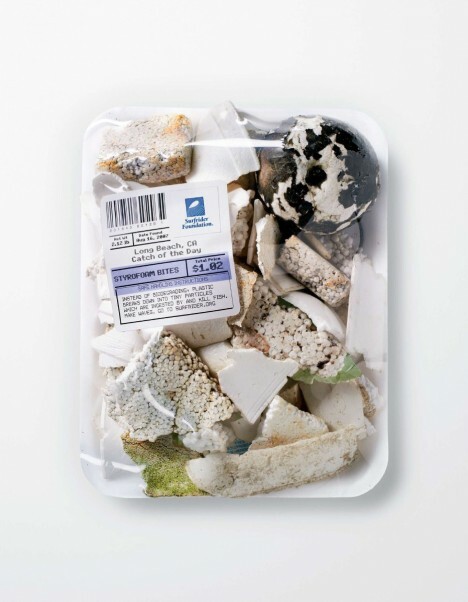 The campaign is called “Catch of the Day” and that idea is based on picking up real trash from beaches around the world, packaging it up as fresh fish, and selling it along side real seafood at various markets. Brilliant! Educating them fools on polluting the beaches and oceans. 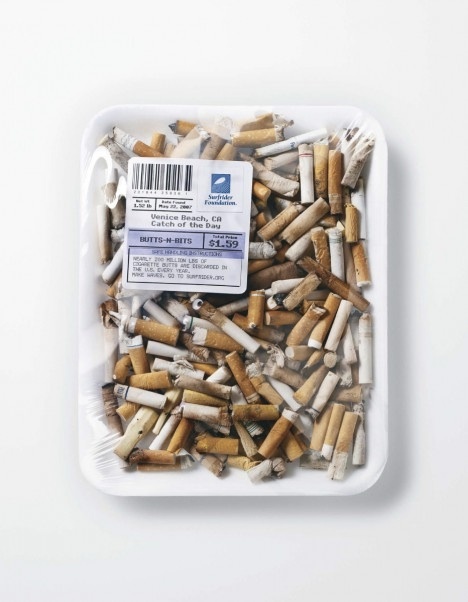 The only problem is see is the packaging they used for this campaign, styrofoam and plastic. This campaign is actually from last summer but oddly enough it never showed up on any surfing sites. None that we saw anyways. Better late than never though. Posted by Cameron	on Friday, January 30th, 2009	in Surfing. 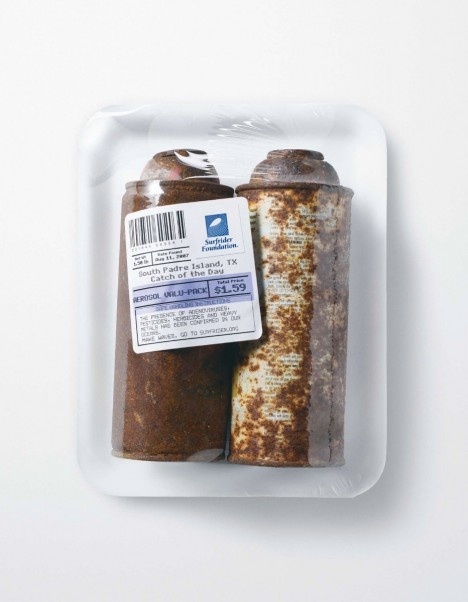 Wow, that is a brilliant and poignant campaign! 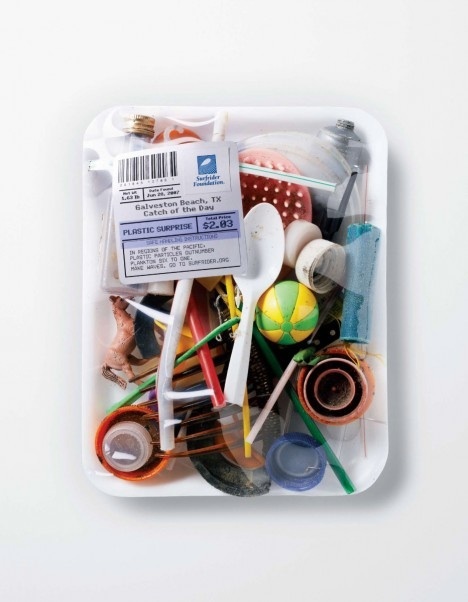 Great visual punch-in-the-gut reminder that we need to take care of our beaches and oceans! I feel bad for the poor chap who had to collect and package those rubbers. haha. i bet they found most of those on the beaches i was surfing in Puerto Rico. you’d think used condoms grow on trees down there. so gross. at least none floated by in the water. I like Stee-dub’s comment! That would be a great job for Dirty Jobs on the Discovery channel.